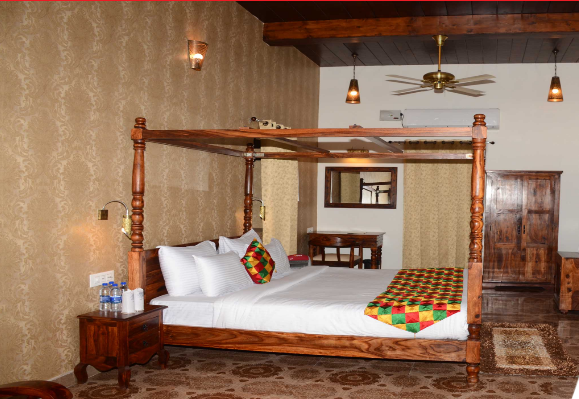 Maharaja Suite: The Maharaja Suite is well decorated with fully furnished Furniture. The Maharaja Suite is quite recently so inconceivably great. Made in Solid Sheesham (Rosewood) Wood, Designed in Traditional tones, this suite is a visual treat. Standard Room: If you looking to Standard Rooms are traditionally decorated with period furniture that have an exotic flooring. Superb ambient with pleasing sitting arrangement in private Veranda, that come with an array of quality amenities. 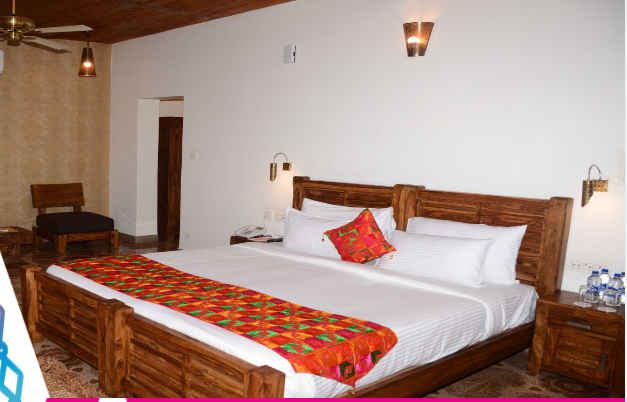 Deluxe Room: Deluxe Rooms boast of interiors that are eye-pleasing for guests. Cream shades on walls, designer Reading Lights and Traditional Room furniture accentuate the grace of these rooms. Balcony in rooms offer a panoramic view of the surroundings. Junior Suite: Junior suite is designed and furnished so tastefully that gives a comfortable stay. Each suite is aesthetically designed, well ventilated and air-conditioned with attached bathroom, a Living area and with balcony. Best suited for business travellers and tourists. Enjoy the hospitality of Village Nambardar and also learn how he manages his village and house together. 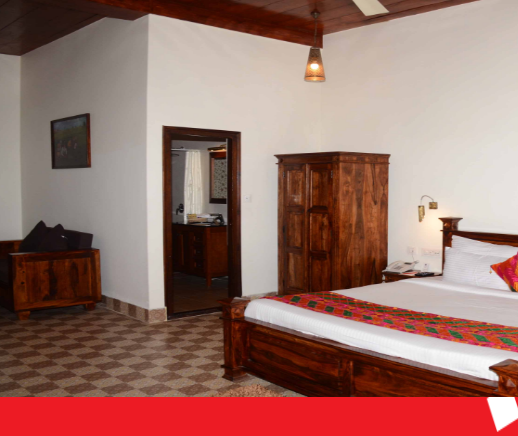 Rooms Can be accessed by crossing Nambardar Ghar and through magnificent hand crafted doors.